Christine is a long arm machine quilter, quilt pattern designer, punchneedle pattern designer & author. She publishes her designers under her company Fairfield Road Designs and is also a Thrive Life Independent Consultant. Her blog will feature news about her different companies, insights into her family life and previews of new patterns and designs and yummy Thrive recipes. 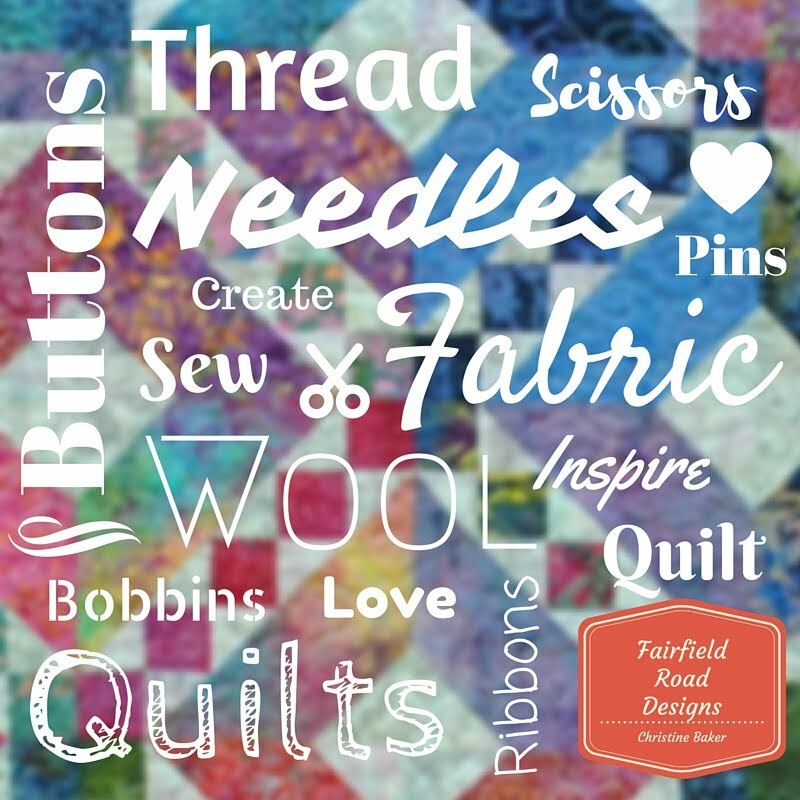 I have been designing and publishing quilt patterns for the last 14 years under the business name Fairfield Road Designs. My patterns range from fusible applique and piecing to felted wool applique and punchneedle. You can see all of patterns on my website www.fairfieldroaddesigns.com . This year I became a Thrive Life Independent Consultant and am really enjoying using the foods to make healthy, delicious meals for my family. You can learn more about Thrive at www.christinebaker.thrivelife.com . New block of the month pattern NOW available!! Exiting News! We have moved into a wonderful new location. Our studio is a in a lovely location in downtown Brockville. We have a gorgeous classroom with lots of natural light. We offer a full range of classes, patterns, books and notions. Christine is becoming a pro at dyeing wool and we are getting lots of penny rug kits ready to sell. Visit our website at www.uppercanadaquiltworks.com and sign up for our newsletter. Upper Canada Quiltworks Publishing Co.